Headstone stone maker: Doyle Coolkenno. 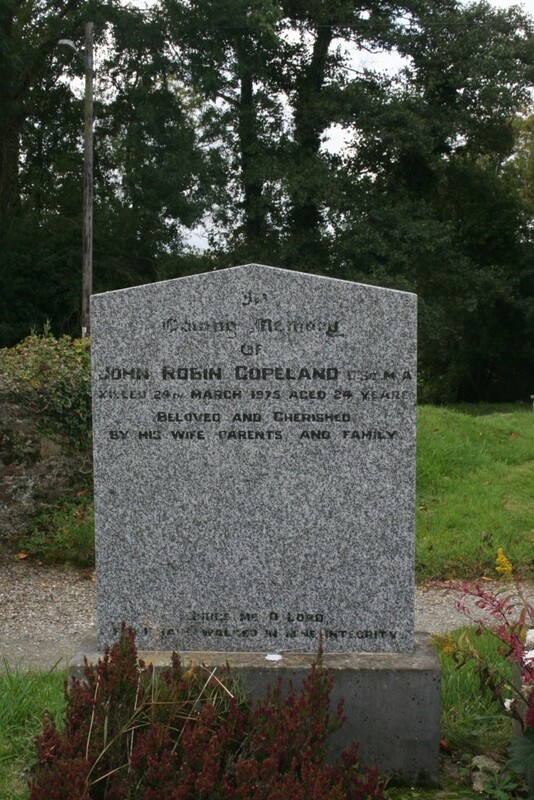 In loving memory of John Robin Copeland B.Sc., M.A. 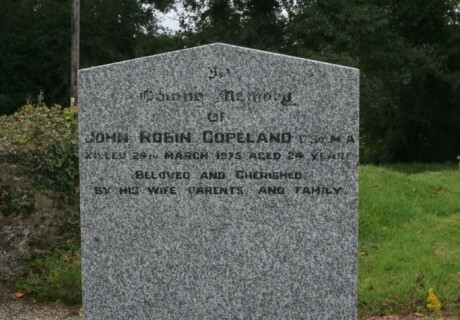 killed 24th March 1975 aged 24 years. Beloved and cherished by his wife , parents and family. Judge me o lord for I have walked in mine integrity.